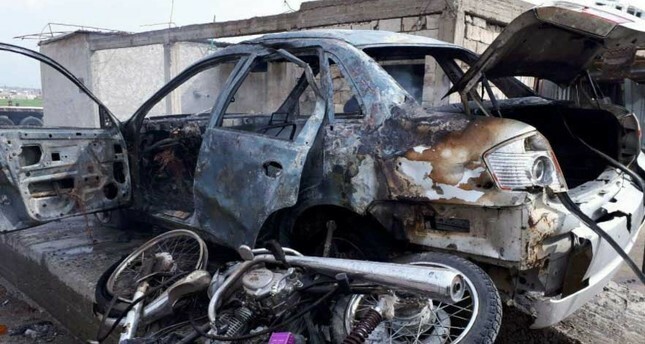 A car bomb attack killed six people and injured more than 10 others in Jarablus, a border zone that Turkish forces and Turkey-backed Free Syrian Army (FSA) took from Daesh in 2016. The suspected PKK-affiliated People's Protection Units (YPG) terrorists detonated a car bomb near a police station in the Syrian town on the Turkish border, killing one local police officer and five civilians. Local security sources said early signs showed that the YPG terror group was behind the attack, however, no group has claimed responsibility yet. The attack came as Turkish forces continued their advance on Afrin against the terror group as part of Operation Olive Branch, encircling the strategic town of Jandaris. On Tuesday, one civilian was killed and five others were wounded after a bomb-laden vehicle exploded in the Syrian city of al-Bab located northeast of Aleppo.